The CW received plenty of good news from the Nielsens this past week with three of its Fall shows bowing to strong numbers (for that network at least). Their revamp of the Green Arrow character, Arrow, led off the debuts pulling a 1.3 rating in the 18-49 demographic and 4.1 million total viewers. That’s the best debut for a new series from The CW in several years and could be the beginning of their next successful superhero-based shows (the last of course being Smallville). Vampire Diaries returned strong for its fourth season, pull a 1.6 rating and 3.2 million total viewers. Those are the best numbers that show has seen since early last season indicating that this series is still demonstrating some staying power. In the lead-out slot from Vampire Diaries, Beauty and the Beast debuted to decent numbers, pulling a 1.2 rating and 2.8 million total viewers. The only potential concern there is that the show lost 25% of the rating of its lead-in, which was similar with what we saw with last year’s The Secret Circle which occupied the same timeslot. If Beauty and the Beast can stay above a 1.0 rating this season, though, I would say it should be safe. And Supernatural improved its numbers this past week with its second Season 8 episode. 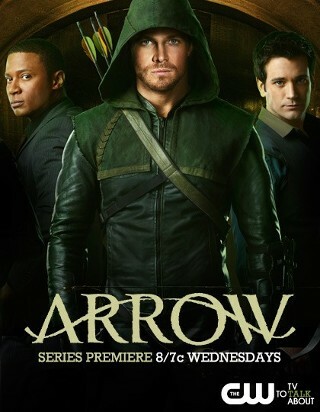 With a strong lead-in from Arrow, the venerable series pulled a 1.0 rating and 2.5 million total viewers. ABC’s The Neighbors received some good news as the network announced they had ordered three more scripts for the show. That’s a far cry from a full season pickup, but it does indicate that ABC is considering keeping it around a bit longer. And it improved its numbers slightly this past week with a 2.0 rating in the 18-49 demo and 6.4 million total viewers, so I am dropping its Cancellation Alert status to Medium for the time being. ABC’s Last Resort was not so lucky as it slipped again with its third episode, pulling only a 1.6 rating last Thursday with 6.9 million total viewers. On Friday night, Grimm slipped a bit to a 1.5 rating in the 18-49 demo and 5 million total viewers, though it is still performing quite well for that low viewership night. And Fringe pulled a 1.0 rating and 2.7 million total viewers as it airs out its final season. CBS’s Person of Interest was preempted by the debates, and I covered the shows from earlier in the week in my Wednesday column last week. Keep an eye on the Cancellation Watch Twitter Site for the early returns from this week’s Sunday and Monday shows including the Season 3 premiere of AMC’s The Walking Dead. This week has the last two premieres for genre shows for the Fall season with FX’s The American Horror Story on Wednesday and The CW’s Nikita on Friday. And you can see the Cancellation Alert status of all the shows currently airing plus the final results from prior seasons at my Cancellation Watch page.